Woodlea Junior School is extremely proud of the teaching assistants that we have working with us. They are highly skilled in a variety of areas, which in turn supports the children. The job of a Teaching Assistant requires a lot of flexibility; one minute they are in an English lesson, followed by working in a small reading group and then asked to provide specialist support on a 1:1 with a child who has specific learning needs. Within each class there is at least one teaching assistant and teachers often comment that they couldn't manage without them. 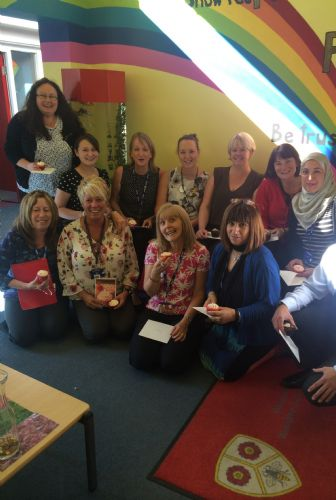 the Teaching Assistants received a cup cake and a card.